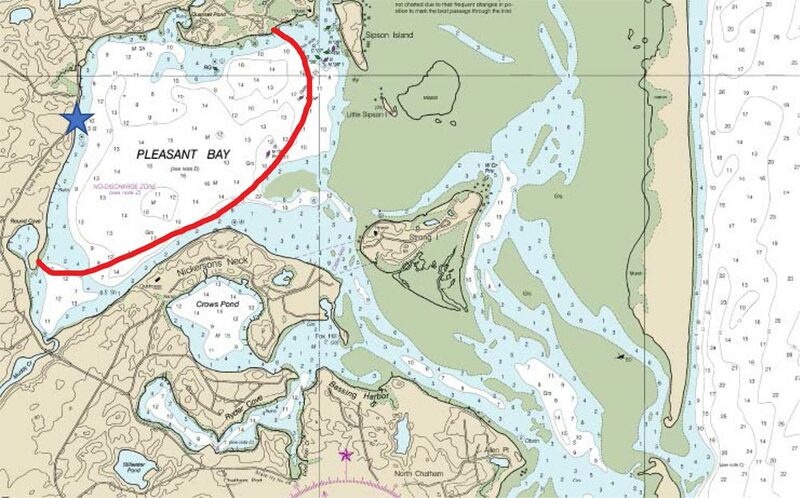 Skilled sailors and boaters may reserve one of our boats to explore Pleasant Bay! Members are welcome to use boats from our fleet by the hour to practice their new skills, take in the sights, and explore this magnificent estuary. Upon arrival at Pleasant Bay Community Boating, all renters need to complete a signed PBCB Program Liability Waiver prior to recreational use of our watercraft. Members who wish to charter a boat must take at least one regularly scheduled adult lesson on the type of boat they wish to charter. Competency to use a boat independently will be determined by the member’s sailing instructor. Personal Floatation Devices (PFDs) must be worn at all times while on the PBCB dock or on the water. We have a supply to choose from if you don’t have your own. Water shoes, boat shoes, sneakers, or structured sandals (such as Tevas) should be worn at all times while on PBCB campus, boats, and dock. Beaching and landing of all PBCB boats is prohibited, except in an emergency situation. PBCB is a smoke-free campus. Smoking and alcohol are not allowed on PBCB boats and dock. Recreational boats may be taken out for 2-3-hour sessions. However, if you wish to remain on the water, you may check in with us after your allotted time to see if anyone is waiting for your boat. Sailboats must remain in “Big” Pleasant Bay, which is bounded by Sipson Island, Little Sipson Island, and the shallows to the northwest of Strong Island. See red boundary line on map below. 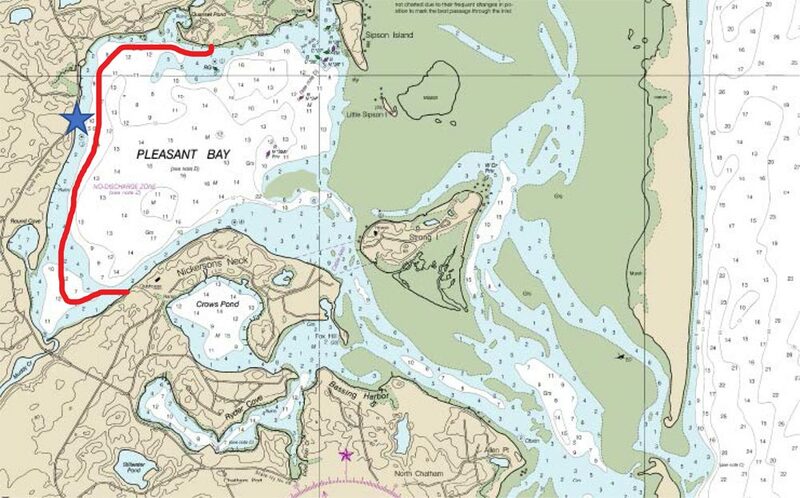 Paddlecraft (kayak, canoes, SUP) must remain within the red boundary line marked on the map below. Difficult to see and riding low and in the water, paddlecraft must avoid crossing in the middle of the bay to avoid collisions with power boats. If boundaries are exceeded, member boating privileges will be revoked.